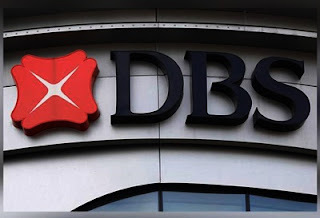 DBS India will hire about 600-800 persons in the next one and a half years as part of its expansion plans, as the Singaporean lender now has acquired a domestic subsidiary licence in India, a senior official of the bank said. As part of its branch expansion to nine new locations during this month, three branches kick-started in Gurugram, Noida and Coimbatore. "We are looking anywhere between 600-800 people for our branch expansion over the next 12-18 months, including people at our technology development centre in Hyderabad," Shantanu Sengupta, head (consumer banking group), DBS Bank India, said at the inauguration of the Gurugram branch. The DBS group has close to 1,200 persons at its Hyderabad technology centre which was started from scratch about two and a half years ago, he said. DBS India said the expansion drive, which includes establishing over 100 customer touch points, a combination of branches and kiosks across 25 cities in the next 12-18 months, entails an investment of Rs 125-150 crore. Three branches were opened in Hyderabad, Ahmedabad and Vadodara, while one more was added in Mumbai. Two more branches will come up in Indore and Ludhiana. DBS Group until now used to operate through branches in 12 cities, including Delhi, Mumbai, Bengaluru, Chennai, Kolkata, Pune and Nashik. The Singaporean lender is the largest foreign bank to become a fully-owned local subsidiary. The bank is also looking to treble its balance sheet size over the next five years from about Rs 50,000 crore currently and will set up around 100 customer touch-points over the next 12-18 months. The bank said it would also rejig its business portfolio mix by focusing more on the retail and small business enterprises. "Retail business is absolutely our focus. Going forward, we see a broad cut of 40:30:30 coming from large corporate, SME and retail business. Retail for us is primarily digitally led the business for us," said Niraj Mittal, head (institutional banking group), DBS Bank India. Last week, the Reserve Bank of India approved the Singaporean lender's proposal to become a wholly-owned subsidiary and on Monday, it announced the official launch of its locally-incorporated unit -- DBS Bank India. Emirates Airline's sister company, dnata, is expanding its global footprint by opening a Dh33 million state-of-the-art cargo facility and opening up to 100 jobs in Europe. Based out of the airport in Brussels, Belgium, the new cargo centre includes a 4,500-square-metre warehouse capable of processing 125,000 tonnes of goods every year, including perishables, pharmaceuticals, dangerous items, live animals, aircraft engines and vehicles. With the new venture, the brand of Emirates Group affiliate, which handles more than 1,900 flights and moves over 9,000 tonnes of cargo every day, is now present in 88 airports in 14 countries. “We are most pleased to welcome dnata at Brussels Airport as our third cardo handler,” said Arnaud Feist, CEO of Brussels Airport Company. Erik de Goeij, chief executive officer for dnata The Netherlands and Belgium, said, the new facility significantly increases the company’s cargo handling capacity in the region, adding that the local cargo industry will benefit in return. The company said its latest operations site represents an investment of eight million euros and creates up to 100 local jobs. The company had earlier reported its most profitable year since it started in the cargo handling business 59 years ago, crossing Dh1.3 billion in profits between 2017 and 2018 and growing its revenues by 7 per cent to Dh13.1 billion. Its international business now accounts for more than half (68 per cent) of its revenue. Revenue from the company’s airport operations in the UAE, including ground and cargo handling, went up by four per cent to reach Dh3.2 billion. DBS Bank India is looking to hire around 1,000 more technology engineers for its technology centre 'DBS Asia Hub 2' here over the next 24 months, a top official said. 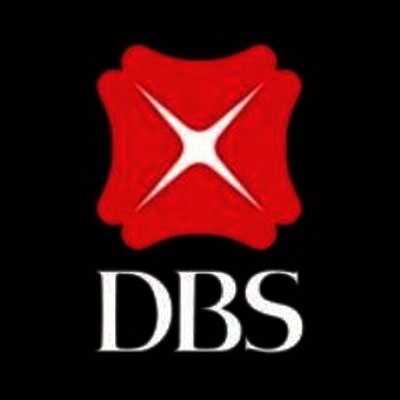 The DBS Group had established a technology hub DBS Asia Hub 2 in Hyderabad in 2016, the group's largest technology and operations hub outside of Singapore. The Singaporean lender is the largest foreign bank to become a fully-owned local subsidiary. "The hub has about 2,000 engineers building smartest solutions, 1,200 software engineers and developers work with DBS and about 800 who work with partners and build our technology products. We expect to grow it to 3,000 over the next 24 months," DBS Bank India chief executive Surojit Shome told reporters after launching its first branch in Hyderabad. He said they expect the bank's balance sheet to grow by three times in the next five years from the current Rs 50,000 crore. DBS Bank India currently operates in 12 cities and intends to establish over 100 customer touchpoints-a combination of branches and kiosks--across 25 cities in the next 12-18 months and invest Rs 125 crore to Rs 150 crore on the network expansion. "Roughly about half of what we develop (digital solutions) is developed in the second technology centre (DBS Asia Hub 2) in Hyderabad. We expect to employ around 1,000 more technology engineers and people with software skills as we build new solutions," he said. DBS Asia Hub 2-Head Mohit Kapoor said the recruitment drive is already on and hiring is done through different channels, including hackathon. 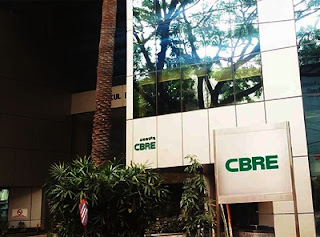 Global property consultant CBRE will hire 3,000 employees across India this year for business expansion, it's country head Anshuman Magazine said. "We are a growing service firm and the only asset we have is people. Therefore, we have been hiring the best talent available in the market since the last few years,” he told reporters while launching its new headquarter at Gurugram. "In 2019, we expect to hire 3,000 people across India to meet our growth requirement," Magazine said. At present, CBRE India has around 8,300 employees who provide various services in the real estate sector. "We want to grow this business as there is a huge scope. But, we will be cautious in our approach and market projects of only credible developers," he said. “We expect institutional investment in this sector apart from regular inflows in housing, office and retail assets,” he said, adding that warehousing and logistics sector is already attracting huge investment post GST.